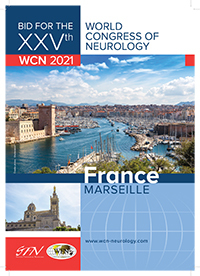 France and the French Society of Neurology would like to be a candidate to host the World Congress of Neurology in 2021. France has never had this opportunity before and would be proud to convince the Council of Delegates to choose our country. The Société de Neurologie de Paris was established on June 8, 1899, and its first meeting was held on July 6, 1899. 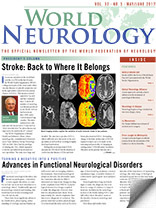 It was renamed Société Française de Neurologie in 1949, and celebrated its 100th birthday June 16, 1999, in Paris. Our society is one of the oldest in the world, and a number of famous neurologists are part of our heritage. The French Society of Neurology has an old and rich history, but also is a vivid society with an annual congress assembling more than 3,000 neurologists each year. The French teams are major contributors in all the fields of clinical neurosciences and will work with the international committee to develop an amazing scientific program. It is also the decision of the society to open the congress to participants from all around the world, with an intensive program of support dedicated to young neurologists. 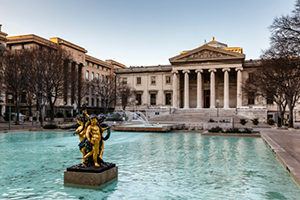 To emphasize and symbolize this opening to the world, the city that the French Society of Neurology has chosen is Marseille. The oldest city of France was founded in 600 BC and became the main Greek city of the Western Mediterranean. Marseille is the second-largest city in France and is located in the south of the country by the Mediterranean Sea. It is the capital of Provence, one of the most visited parts of the world. The Phocean City is a cosmopolitan port where people have met from around the world for centuries. Marseille is Europe’s door to all the Mediterranean countries, Africa, and Maghreb. Marseille Provence Airport (MRS) welcomed 8.5 million passengers in 2016 and is currently linked to 96 destinations in 25 countries, with 129 scheduled services. MRS is well connected to all major hubs, providing easy access from all over the world at competitive airfares. Up to 36 daily flights are being offered to Paris-Charles de Gaulle (just a 90-minute flight), London-Heathrow, Frankfurt, Munich, Amsterdam, Brussels, Madrid, Rome, Lisbon, Istanbul, Montreal, Algiers, Casablanca, and Tunis. It is only a 25-minute drive from the airport to Marseille city center. 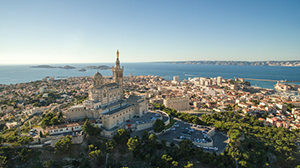 Marseille can be reached in less than three hours by high-speed train, with departures every hour. The train station is in the heart of the city. October is a perfect time to come and visit the Provence Cote-d’Azur region and make a stop in Paris. The average temperature is 24°C/75°F, perfect weather to enjoy the Mediterranean Sea! The entire French neurological community enthusiastically supports this candidacy and hopes that it will be successfully considered. Prof. Gilles Edan is the 2017 SFN president. Prof. Jean-Marc Leger is the WFN French delegate. Prof. Jean-Philippe Azulay is a member of the local organizing committee.